Protect your equipment from unexpected power surges. The Nowsonic PowerPlant power conditioner and distribution unit is suitable for voltages from 170VAC to 260VAC. The incoming power is stabilised and power spikes are instantly reduced (1 nanosecond or less response time). Unstable power supplies are often the cause of inconsistent performance and power surges regularly result in severe damage to your equipment. 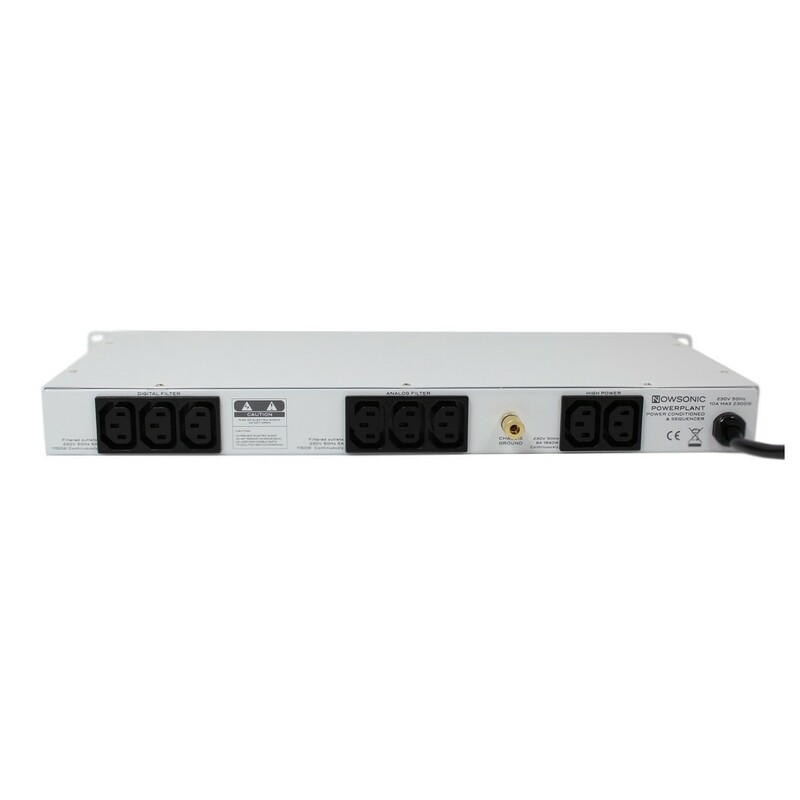 The Nowsonic PowerPlant conditioner and distributor offers a total of 10 power outlets which a divided into three groups - digital, analog, unswitched and high power. No longer worry about speakers popping and crackling thanks to the delayed power-up and power-down function. 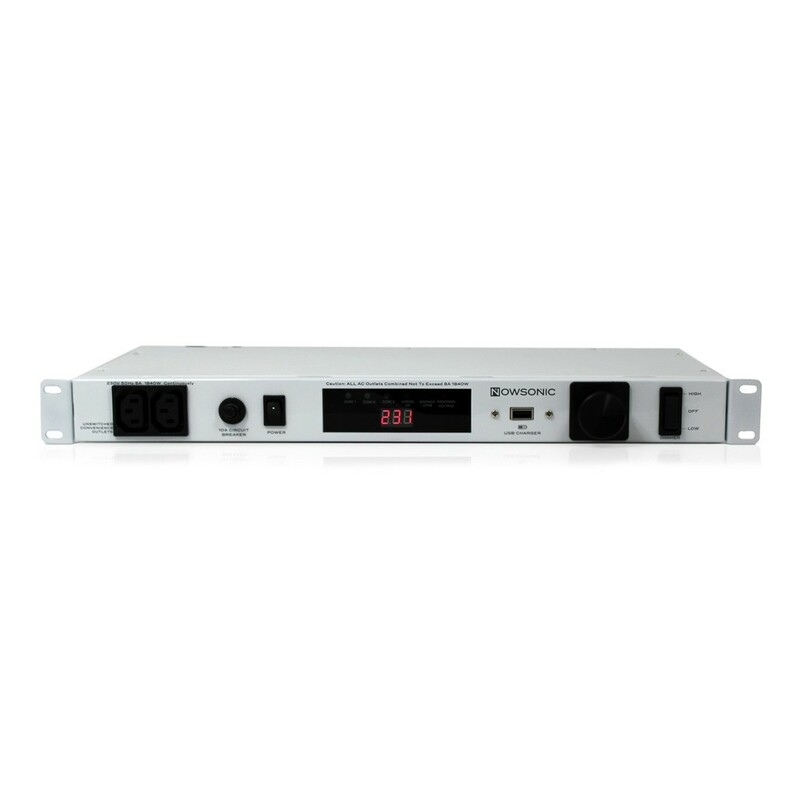 Conveniently monitor the status of the power supply and input voltage using the front panel LEDs. The 1U chassis can be installed within a standard 19'' rack unit, allowing the NowSonic PowerPlant to seamlessly integrate with your existing setup. 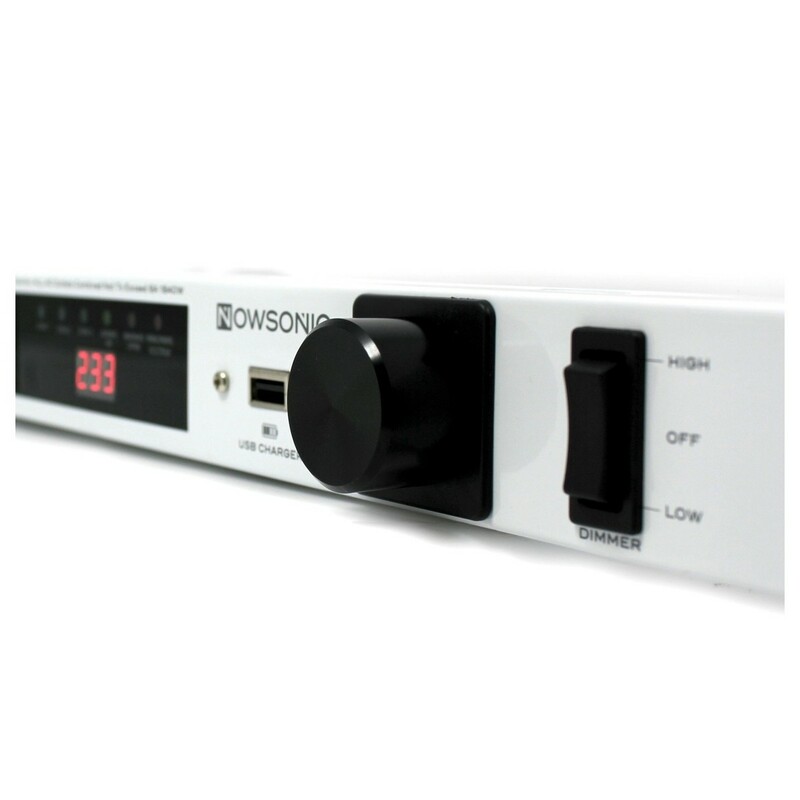 Whether you're recording tracks in a studio or managing a FOH venue system, the Nowsonic PowerPlant the perfect way to ensure consistent and reliable performance.